From the The Avengers Dorbz collection by Funko. 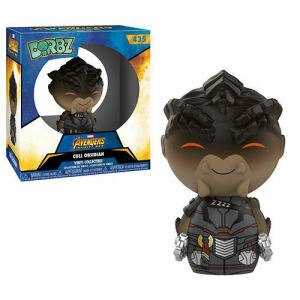 Avengers Infinity War Cull Obsidian Dorbz Vinyl Figure. From the The Avengers Dorbz collection by Funko. Avengers Infinity War Cull Obsidian Dorbz Vinyl Figure. Dorbz Vinyl figures come in a double window-box package to fully display the character from both front and back. Figure measures about 3 inches tall. Funko Avengers Figurines shipping from Canada. No Surprise Border fees or Customs!